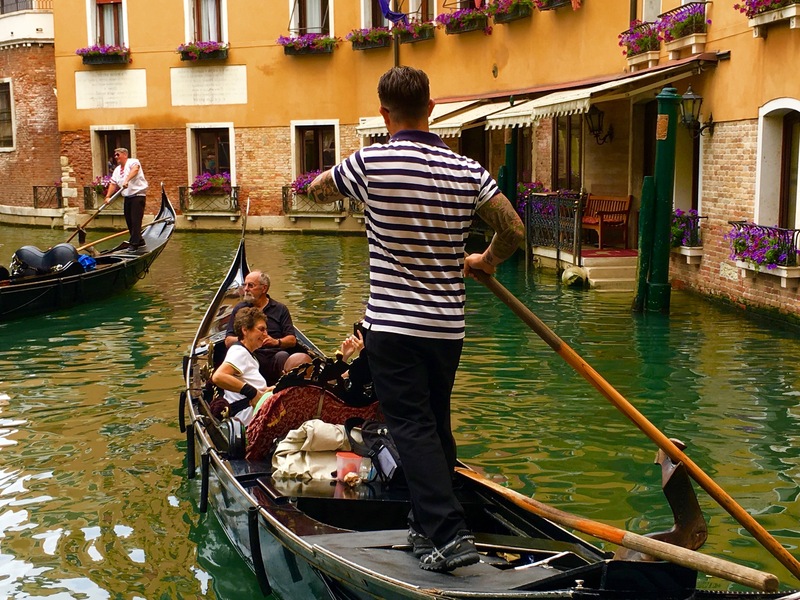 Taking a graceful gondola ride on the canals in Venice. On the Italy tour. Mike Ross Travel.